I’ve been an Ian Fleming aficionado since I was a teenager and I’ve read and reread Ian Fleming's James Bond thrillers over the years. 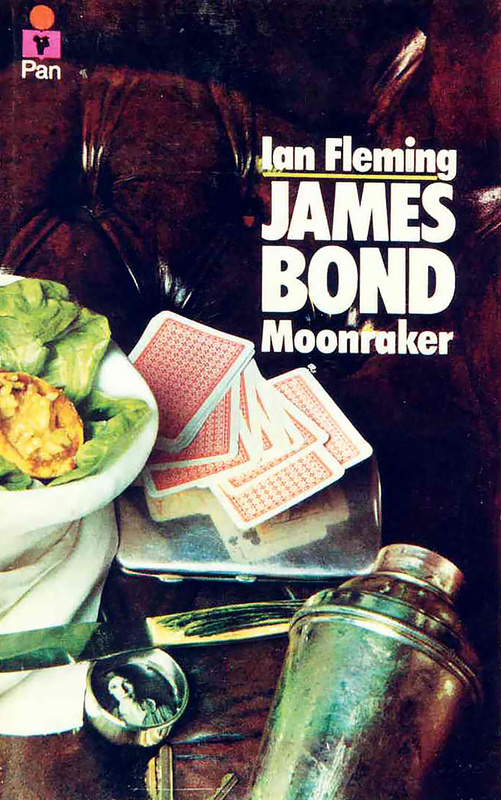 Moonraker is one of Fleming’s most interesting and entertaining thrillers. Sir Hugo Drax is a rich, crooked megalomaniac with wild hair, huge mustache and a scarred face. He looked like a circus ringmaster, Fleming tells us. The novel, which takes place in 1954, presents Drax as a wealthy Englishman who wants to "give back" to the United Kingdom by personally financing a rocket - the "Moonraker" - that would make the Brits equal to the superpowers. The Brits love the guy. The Queen knighted him. His rags to riches story was dramatic and inspiring. But there is a problem, M tells Bond. The Roger Moore film version of Moonraker was light, comedic and disappointing. The film was nothing like the novel. Thankfully, the BBC Radio broadcast dramatization of Moonraker is faithful to Fleming’s novel. BBC Radio 4 has been offering a series of broadcast plays based on Fleming’s James Bond novels and the latest is Moonraker. The radio broadcasts, although abridged, offer fine renditions of Fleming’s thrillers. It's 1954 and British patriot Sir Hugo Drax (Samuel West) has built an atomic rocket, Moonraker, vital to Britain's defences. It's ready for a trial launch. 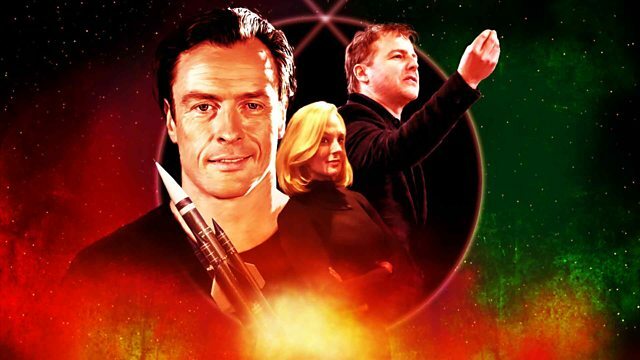 But after a double-murder, James Bond (Toby Stephens) goes undercover at Moonraker's secret base. He and agent Gala Brand (Katherine Kingsley) discover possible treachery. Can they prevent a catastrophe? Archie Scottney's compelling dramatization of Ian Fleming's novel is Jarvis and Ayres' seventh Bond on Radio 4. Janie Dee, John Standing and Julian Sands return as Moneypenny, M and Q. Jared Harris is Head of Special Branch, Patricia Hodge a hearty missile expert, Ian Ogilvy a BBC man, and Nigel Anthony is a Peter Lorre-inspired Krebs. 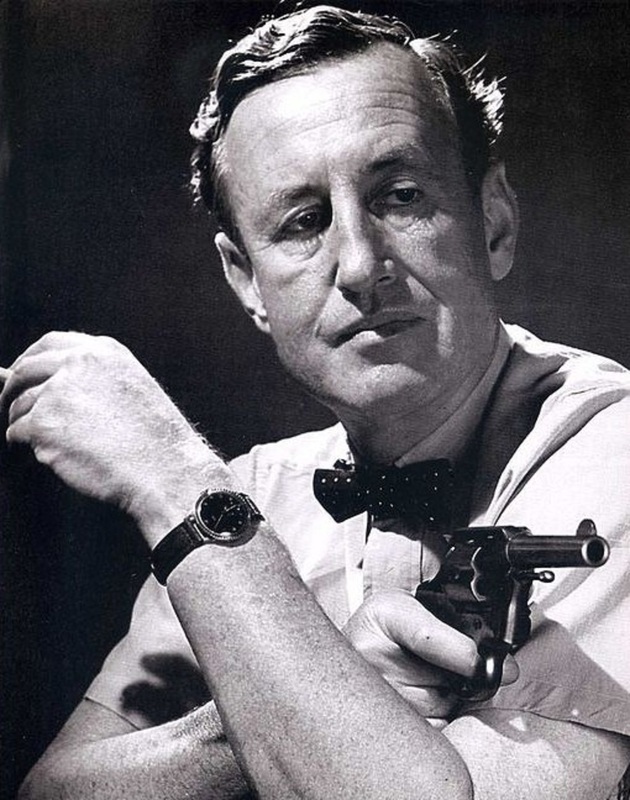 Above is a photo of the late, great thriller writer Ian Fleming.